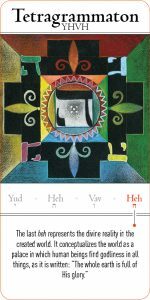 During the previous two weeks we’ve mentioned that this is a special period of time, according to Kabbalah, The ShOVaVIM time (the initials of the first six portions of the book of Exodus) – in which the heavens open for us and allow each of everyone of us to reach his own Exodus and true freedom. Regarding the first words of the portion of Bo – “Then the LORD said unto Moses: Come to Pharaoh” – the Zohar explains that the same way that we experience obstacles in our physical world, in the spiritual world there are forces of delay and obstacles as well. However, sometimes we feel that only due to a mysterious supervision – a mystical one or a miracle – we managed to overcome an obstacle. The Zohar explains that there are guardian angels and angels of distraction as well, and each of us accumulates those angels by the rule of “action and reaction”. If one has acted in a positive way of giving, loving and sharing with his/her environment; this action has created a guardian angel in the upper worlds. However, if we acted negatively, this behavior has created angels of distraction that have the power to sabotage and delay bliss. Nonetheless, we were given three different opportunities during the year to clean those angels of distraction from our lives – on Rosh Hashanah, the Shovavim time and on Passover. When we chose to ignore those angles, instead of fighting them, we are doomed to live with them and to be enslaved to them forever. During those special times there are special forces in the universe that can help us have our own Exodus – getting out of our narrow-restricting place, a place of superstitions, prejudices and negative feelings. Therefore and especially now, God said to Moses “… Come to Pharaoh” – Go to Pharaoh fearless and deal with all of your demons, and if you choose doing so with all your heart, then the guardian angels you have accumulated will assist you. We have to believe we can deal with our fears, and then the solution will come from above. That is the essence of the mentioned three opportunities. The Parasha (The Story of) Bo is being read during the month of Shevat – Aquarius. Aquarius (in Hebrew, Deli) is from the word Lidlot (to draw), meaning the Sign of Aquarius has the ability to draw for us the power and the knowledge to change and achieve true freedom. The Kabbalists explain that there are twelve different combinations to God’s name – YHVH (יהו”ה). Each combination represents a different month and the one regarding Aquarius is HYVH (היו”ה), which is the initials of the verse “… and if he transforms it at all then both it …” (“המר ימירנו והיה הוא”), this verse shows that we have a special opportunity, this month to transform our lives. In order to achieve true transformation we have to have a complete certainty in our ability to get rid of our Pharaoh because we deserve better. When we succeed breaking down all our barriers and eliminating our prejudices regarding ourselves, we will feel strength and satisfaction and that is the power of Bo. The verse “This month shall be unto you the beginning of months; it shall be the first month of the year to you” (Exodus, ch 12, 2) – the word “you” is mentioned twice in a sense of “yours”, that the control on our lives is in our hands. Later on it is said “And they shall eat the meat in that night, roast with fire, and unleavened bread; with bitter herbs they shall eat it”. The Zohar explains that the bread is a symbol of selfishness and pride and in order to convert it to something that will not make any harm we should make Matsa – The Unleavened Bread. According to the Kabbalists, The Matsa – Unleavened Bread is the remedy for pride and selfishness that are the cover for fears and anger. This is the time of “Come to Pharaoh”. Now we have assistance from the upper worlds to clean all from evil within.